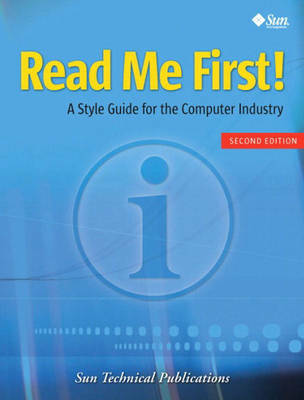 READ ME FIRST! is the definitive guide to creating technical documentation that is clear, consistent, and easy to understand. Sun Microsystems' award-winning tech writers and editors cover everything from grammar to clarity, illustrations to workflow. This fully revised Second Edition reflects dramatic changes in the technology industries, with extensive new coverage of Web/online documentation, internationalization, and much more.